Infrastructure development is the heartbeat or bedrock of any progressive economy and it is also a critical enabler for productivity and sustainable economic growth. This means that even tourism development will not strive except the catalyst, infrastructure, is in place. For the purpose of discussion, Infrastructure referred to here is both hard (economic), soft (social) and technology infrastructure. Yes, I know the scholars before me tend to emphasis just hard and soft, but tech infrastructure cannot be ignored especially in this new age. This is a practitioner’s view not theory. While hard infrastructure like Energy, Transport and Utilities are the physical facilities/assets that are required for advancing commercialization which also has an almost immediate catalytic effect on economic growth, soft infrastructure are essential institutions that improve the quality of lives or well-being and makes impact in somewhat invisible ways like healthcare, education and housing. Finally, my new/standalone addition, tech infrastructure are the sophisticated tools and systems that improve the way we build communities, connect people and transact. Despite almost a third of African countries population growing at an annual rate of 2% and more according to the World Bank, there is negative correlation between the high population growth rates and increasing demand for infrastructure unfortunately. In numerical terms, the infrastructure deficit according to The African Development Bank (AfDB) is said to be estimated to reach US$3 trillion dollars by 2044 which is about US$100 billion dollars annually. Regretfully, Nigeria suffered from economic recession in 2016, with negative GDP growth and has since had fiscal deficit. The Government however promised to ramp-up infrastructure development in 2018 by increasing the ratio of capital expenditure to total budget, though it appears that it backpedaled on that promise considering no new government supported project closed in 2018. Beyond infrastructure expansion, there’s demand for increased maintenance to improve the current state of Nigeria’s infrastructure. Considering these trends and knowing that investment is a component of Gross Domestic Product, infrastructure investment remains a key element to Nigeria’s success. There’s no gainsaying that Nigeria has a huge infrastructure gap and there lies the investment opportunities. The business of infrastructure development is not as simple as the general public tends to understand or project. The required skills to deliver a sustainable asset devoid of contractual bottlenecks is rare in this market. Infrastructure development as I sometimes call it is a ‘monster’ but I am here to ensure that you understand every detail of it article by article so you are better informed and can improve on the quality of your conversation regarding the subject matter. The truth about Funding is that there are excess monies pursuing the few projects, and bankable ones at that, in the market; whether from private equity firms, pension funds, banks, Infrastructure funds, Development Finance Institutions, sovereign wealth agency and other institutions. 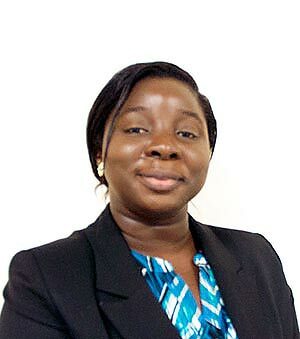 Bankability refers to a project that has adequate security/guarantees, acceptable returns or cashflow, proper structure and adequate risk mitigation, to be acceptable to institutional lenders for financing - Margaret Oghumu. Nigeria, which is fondly called the Giant of Africa, has always being attractive to investors because of its population and disposable income advantage. However, it was hard-hit by a recession which was induced by the global collapse in oil and commodity prices; a situation which was not helped by the government’s foreign exchange policy and sluggish steps in improving the business climate. Consequently, investor’ interest in the country waned with massive capital flights, currency devaluation and increased inflation. More importantly as it concerns Infrastructure Investment, Nigeria has been saddled with political uncertainty, macro-economic unpredictability, delays in implementing policies/reforms, and an unenforceable legal/contractual system. All of these and more have not given investors, especially the commercial ones, the confidence to invest in the country. The result of this is that funds are targeted at other African countries. Financing infrastructure projects is not exactly straightforward, but I will explain all the technicality involved as we go along. The United Nations released a blueprint called the Sustainable Development Goals (SDGs) aimed at achieving a better and more sustainable future for all, and Investment in Infrastructure is one of it - SDG 9. This emphasizes the global effort geared towards reducing the deficit impeding growth. More specifically in Nigeria, the demand for infrastructure is growing at an unprecedented rate. Though the link between economic growth and infrastructure has been well-established, the government is almost handcuffed with its inability to finance infrastructure development off the budget, hence the need for innovative ways of seeking funding; either from private financiers, Public Private Partnerships or the famous Chinese loans (which I will talk about later). Having said that, what the Nigeria Government should focus on is addressing the issues I mentioned above and create enabling conditions to attract private investors. Thankfully you have learned a thing or two today and at the minimum I hope you are able to demand the right things from the government. N.B I took the profile picture at the Johannesburg Airport Gautrain, which is said to be Africa’s first high speed train. Till my next article, free feel to share your thoughts or ask me any questions in the comment section below.